Although talent gaps and skills shortages have been widely discussed matters across industries and sectors throughout the past few years, a few specific types of problems with staffing have been a bit more pervasive than others. For example, it has become clear that cyber security training is a central need for virtually all organizations today, regardless of their size, region or sector, as the threat of breach has transcended all forms of borders. 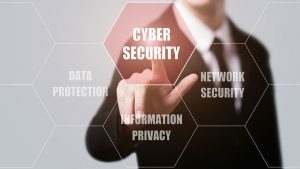 In fact, the need is not exclusive to IT professionals either, as several major studies have indicated that businesses really need to begin to take these matters seriously from a cross-departmental standpoint, as errors and a lack of awareness in any area of the business will lead to risk. Now, financial services firms appear to be taking a more unique approach to acquiring talents in IT security matters, but it begs the question of whether novel methodologies are less direct than simply deploying more robust training. Computer Business Review recently reported that a wealth of financial services firms have decided to hire former hackers to help their cyber security strategies along, with one-third of respondents to an Accenture survey stating that they have partaken in such pursuits. Now, while this is certainly a clever and likely valuable choice, it would be hard to not see a bit of desperation in these activities. The insights provided by these skilled hackers will likely prove advantageous, but more is needed to really make a difference in the cyber security arena. Who does not need training? The average company’s IT security performances will only be as strong as the weakest link involved. After all, hackers have become more than proficient at identifying vulnerabilities and targeting them, while those weakest links tend to be unaware and unprepared employees in many situations. Virtually all employees can benefit from cyber security training, and businesses can often see far stronger performances in IT defense when organizational knowledge is at a peak.